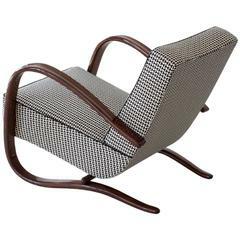 Art Deco Streamline Armchair model H 269 designed by Jindrich Halabala and manufactured by UP Závody Brno, circa 1940. 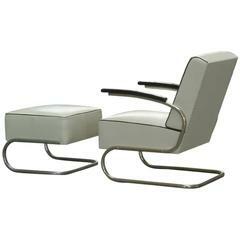 This original Art Deco Streamline Armchair is restored on request and available in different amounts. Delivery time between 6-8 weeks.